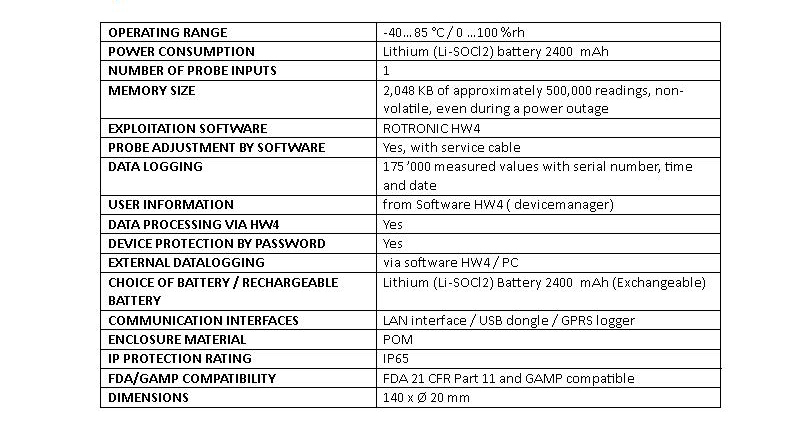 Both the ROTRONIC HW4 software and one of the available RF adapters are required to program the data logger, and to retrieve / analyse the data. HW4 can also be used to display and record data in real time on a PC or laptop. Each RF adapter can connect up to 100 loggers (wireless RF network). Both the HW4 software and data loggers are FDA 21 CFR Part 11 and GAMP compatible. A validated version of the HW4 software is available.